One of the main things people are drawn to when it comes to outdoor weddings is all the room you have to be creative, whereas, an indoor wedding venue can look the same from weekend to weekend. So, how do you make your indoor wedding stand out from the wedding before yours? We've come up with some ideas to help you turn your indoor wedding venue into your own unique space. 1. Lighting. 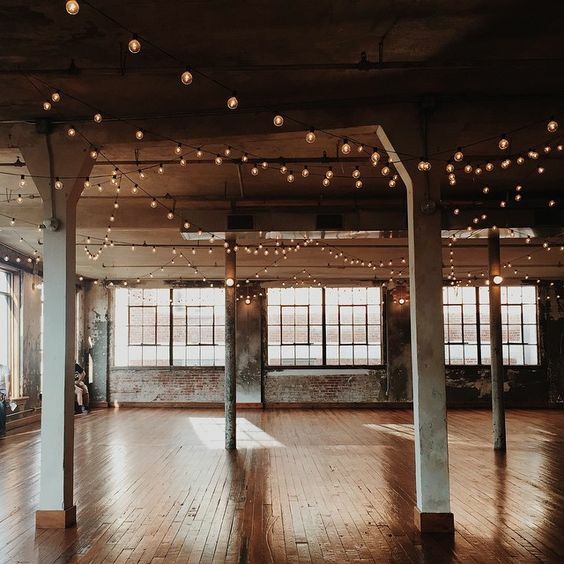 There are so many interesting ways that you can light up your reception or ceremony; from candles to Edison Bulb lights, to professional creative lighting. There are so many choices, this one has so many ways to make it your own! 2. Your Centrepieces. This one may seem obvious, but it's also obviously easy to make different than the other bride and groom you know that got married at that venue. Be creative and be YOU here! 3. Seating Arrangements. Most venues include tables and chairs into your booking but that doesn't mean you have to opt for the traditional way that they set them up! Get your pen and pad out and get creative with how you can arrange the tables and even where you'll place your head table! 4. Use The Ceiling. This is something you don't get to use outside so take advantage of it! 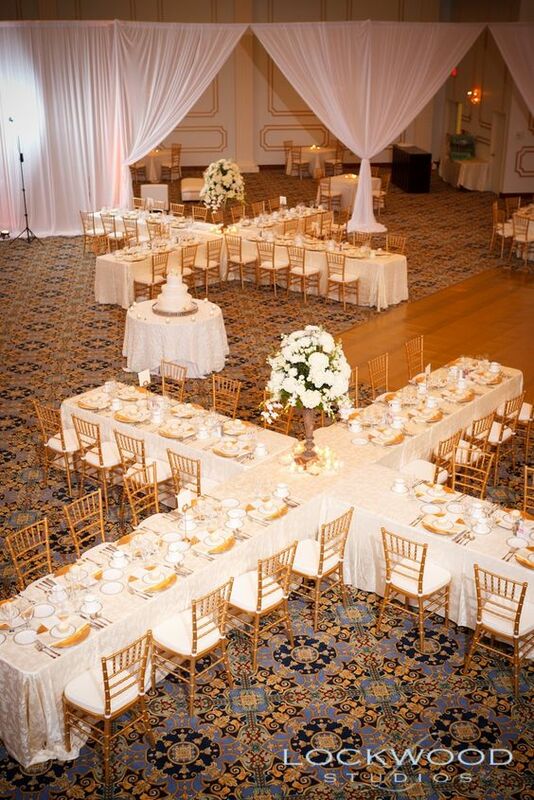 From linens to florals there are lots of options here to make the venue fit your theme. 5. Add a backdrop to your head table. You can do so much with this and it'll be the centre of a lot of your reception pictures, so make it count! However you decorate your wedding venue, remember to make it YOURS! Have your venue picked out but looking for the perfect dress to fit it? Book your experience with us today! We can't wait to help you find your gown.